RIP Sunday Silence. I remember him in the TC races. I voted for the other guy Easy Goer). I even got my sister to watch the derby with me. Showed her my horse and said he was talented. Out walks this black horse, she point to him and said "wow, I really like him". The rest is history. She's not allowed to watch the races with me anymore. Cause of Death: Euthanized at age 26 after spooking in his stall from either lightening or thunder one night and breaking a hind leg. 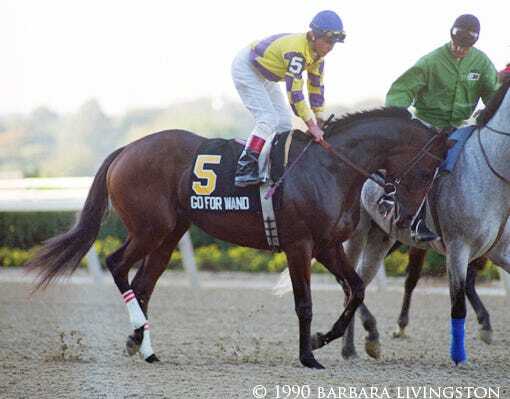 Fun Fact: He upset the Hollywood Gold Cup in 1991 over Farma Way at odds of 27-1, it is the largest upset in the history of the race. He was a farm favorite at Old Friends retirement haven. He was also Michael Blowen's best friend, forever missed by all. Cause of Death: Died January 8th, 2012 at a hospital in Brazil due to complications from Colic. Fun Fact: He is named after the pony in the movie The Neverending Story. He is also the horse that the drunk guy walked out on the track in front of during the stretch run of the Preakness to try to punch Artax. Cause of Death: Euthanized at age 23 due to complications from Melanoma. He resided at Old Friends. Timely Writer (1979-1982) was only 3 years old. Cause of Death: While racing in the Jockey Club Gold Cup in 1982, he had fractured his leg going around the turn for home. He was in 3rd place in stalking position when it happened. His fall caused Johnny Dance to fall over him which caused Johnny to crash into the rail and that resulted in him breaking his leg. Both horses (Timely Writer and Johnny Dance) were euthanized. Cause of Death: Euthanized at age 22 due to 'infirmities of old age'. He was reported to have been doing fine up until the week of his death. Which means his condition deteriorated rapidly. Its a shame, he was 22 years old, still young yet. Cause of Death: Euthanasia due to open fractured cannon bone. 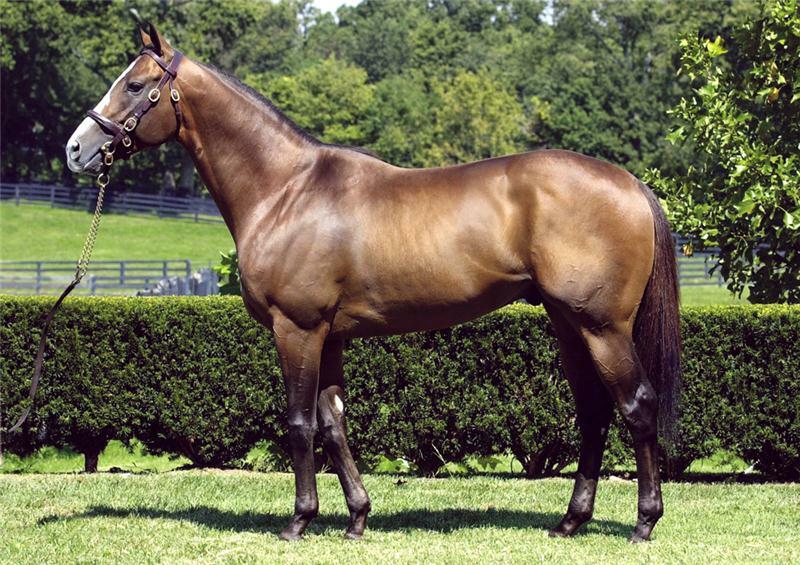 Fun Fact: Go For Wand's dam; Obeah, won the Delaware Handicap twice, and the Blue Hen Stakes once. Beautiful Go For Wand, the most awful breakdown I ever saw happen live. Not in person, but tv. Just horrible. She was such a brave girl and tried so hard to keep going. Sigh! Cause of Death: Euthanized at age 27 2 weeks after suffering an aortic valve rupture. An ultrasound performed the next day on Dyna's heart revealed two holes that appeared as a result of his heart attack. One hole measured 8 centimeters long and 2 others measured 2 centimeters each. A normal horse would not have survived this. Aww, I love that photo of the grumpy old man! He was one of a kind and missed so much. Fun Fact: Champion filly ran in the US - Breeders Cup Turf (1985). Pebbles was in love with a gelding who always ran on the undercard the day she raced. She knew he would be waiting for her back in the barn so when racing, she ran as fast as she could to get back to him. She raced in the US against the boys and won. Earnings: $173,712. Finished 2nd in the Winning Colors stakes in her last race. Was to be a promising filly. Cause of Death: Broke down this morning at Churchill while training, was euthanized. Fun Fact: She's a half sibling to the Champion Midnight Lute. Cause of Death: He was doing a routine workout of 4 furlongs and broke down on his right foreleg nearing the 16th pole. He had sustained a a Condylar Fracture and was euthanized within 15 minutes. Kurt (member of this site) was there in person when it happend. He described to me in gruesome detail what all transpired. Mike Smith was keeping him down on the ground and trying to keep him calm by stroking his neck. Points flailed a bit in an effort to try to get up, and well.. I'll leave it there. The last bit was gross. Kurt said he heard a sickening loud sound when the horse's leg broke, infact....everyone there was able to hear it. Its even described in the Wiki as a "an inordinately loud, sickening sound". Fun Fact: About 3 months after his death, Points was given honors posthumously as American Champion Sprint Horse at the Eclipse Awards. This hasnt been done since Left Bank in 2002. Also, in the 2013 World's Best Racehorse Rankings, he was given a rating of 117, making him the highest rated sprinter competing on dirt. Fun Fact: When Landaluce died, she died with her head cradled in D. Wayne Lukas's arms. Cause of Death: Euthanized due to strangulated colon torsion. Fun Fact: St. Nicholas Abbey was named after a Jacobean plantation house in Barbados, a place in the Lesser Antilles Islands. Cause of Death: Euthanasia due to partial paralysis, shock, and prolapsed colon. Fun Fact: In 2012, Harlan's Holiday broke the all-time juvenile earnings' mark for a North American sire at $2,954,556. Photo provided by WinStar Farms. Patchen Beauty (1995-2013) she was 18. Cause of Death: I've been trying to find it, but havent found anything. She was 18 when she died, so it had to of been something. Fun Fact: She's the dam of a couple nice foals, all of them born white. The White Fox was a gorgeous son of hers, he died early due to colic. The White Fox (2002-2010) he was 8 years old. Cause of Death: Colic. At age 5 The White Fox was living at Patchen Wilkes Farm and ended up Colicking. They performed surgery and it was successful. 3 years later he colicked again, was shipped to Hagyard Equine Medical Institute. The diagnosis this time however, was a ruptured intestine, he could not be saved. Mentor Cane (2010 - Sept 12, 2013) just 3 years old. Cause of Death: Fracture one of his hind legs after the start of the Vigil Handicap race at Woodbine Euthanized. At Lane's End Farm we have always prided ourselves on the exceptional care given to all of the mares boarded here. It has never been our practice to report the status of any of the mares beyond their owners and the people directly involved with them. Recently through Zenyatta.com we have become aware that fans are inquiring about the status of Tasty Temptation. Sadly we must report that she passed away in October of 2013 of an apparent heart attack. I hope that fans will accept this as closure and respect the privacy of the owner and the farm. Cause of Death: Moving in between horses, things got too tight, clipped heals, fell, broke her neck. Had to be euthanized (its a shame it didnt kill her instantly ).